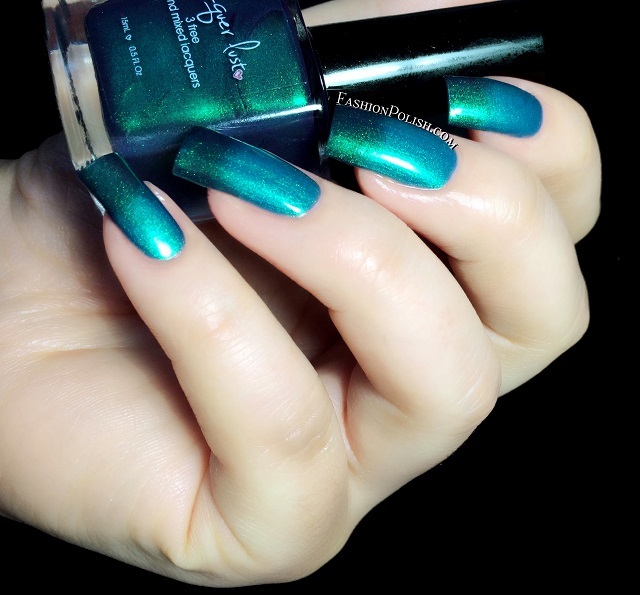 Fashion Polish: NEW Lacquer Lust Suedes, Thermals and Holo Launching today! NEW Lacquer Lust Suedes, Thermals and Holo Launching today! In the meanwhile, I have pure awesomeness for today's post : 12 new Lacquer Lusts launching today! Six thermals, five suedes and a brand new linear holo. Holos always come first, right? Sugared Plum is a strong linear holo plum. There aren't a lot of plum purples so I really love this one. 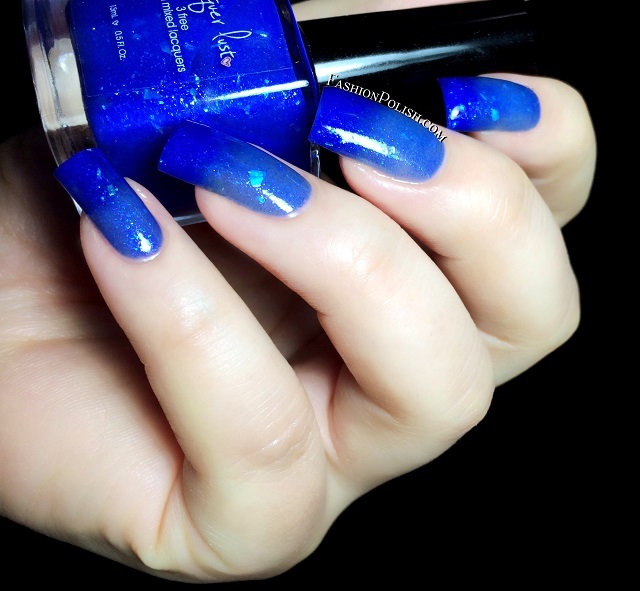 Super strong linear holo and fantastic formula. This is 2 coats. Formula as really nice on all of them. They did require 3 coats each for me, probably because my nails are longer right now, but dry time was excellent so it wasn't an issue. The suede finish beautiful, not straight matte nor satin, a beautiful in between with a lot of depth and complexity. Vanilla Sky is a soft vanilla suede with tiny gold flecks. The color and name match perfectly, they make me crave vanilla ice cream, the nice and delicious homemade kind, drools. Brass Monkey is a warm coppery suede. This one has so much glow, I love it. I'm not even a copper lover! Bittersweet Symphony is a dark expresso brown suede. I really love all 3 of these so far, they'd make a perfect nail art combo. Out of the Blue is a magnificent blue-blurple suede. If you love blue, you'll L.O.V.E it!!! My favorite suede, ex-aequo with the very next one. Aubergine is an awesome eggplant suede. WOW. I use up an entire bottle and never grow tired of it. Consistency and application were also nice and even in this part of the collection. They all transitioned fairly easily and reached sufficient coverage in 2 coats. Berried Treasure is a duochrome thermal polish : mauve pink (warm) to a dark purple (cold). Very unique. Peacock'd Blocked is another duochrome thermal : turquoise blue (warm) to a dark teal (cold). This one was very hard to photograph, it's even more beautiful IRL. A Bad Girl's Kiss is a bright red (warm) to vampy maroon (cold) with microshimmers. I don't think I've ever seen a true red thermal before! And finally Fooled by Fool's Gold is a gray (warm) to black (cold) with tons of gold microshimmers and fakies. A "me" color, obviously, so gorgeous! So what do you think about these new colors? Do you have any Lacquer Lust? My absolute top picks : Aubergine, Out of the Blue, Sugared Plum, Frost Bitten, Peacock'd Blocked and Fooled by Fool's Gold! 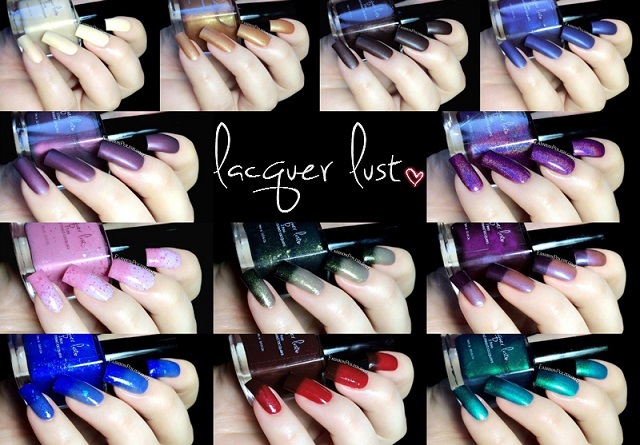 Lacquer Lust can be purchased on Lacquer-Lust.com within the US. Official launch for these new colors : today May, 24th at 10:00 am Pacific.